Intraoral cameras are cameras used by dentists or doctors to show a patient the interior parts of their mouth, as an alternative to using a mirror. They were first introduced in 1989 and are now widely used in dental offices. 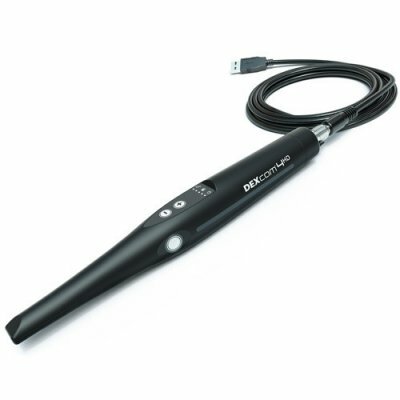 An intraoral camera creates immediate visual impact with high-definition images. Our staff uses it as a tool for diagnosis and education. The images from our intraoral camera are clear and highly detailed; and the camera is easy to use, reliable, and portable. An intraoral camera is essential to delivering optimum quality of care. It provides early detection and accurate representation of dental conditions. Patients can see first hand what is going on in their mouths. As the old saying goes, a picture/video is worth a thousand words.